Your Are Here: Home Events Friday with The Cavern Club Beatles! 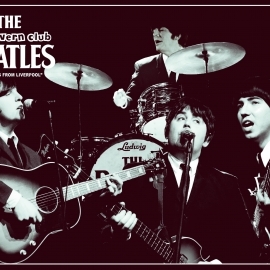 CLICK HERE For all Friday with The Cavern Club Beatles! dates. Unlike their theatre-style Saturday With The Beatles show, this Friday treat celebrates not only all of the big numbers, but many of those cherished album tracks! Bring your dancing shoes, and singing voices! Formed in 2011, they are four lads from Liverpool who replicate perfectly both the look and sound of the fab four. Their attention to detail both musically and creatively is second to none. They play their “all – era” theatre style show every Saturday in the Cavern Live Lounge as well a more relaxed show on certain Fridays throughout the year. Between them they have already notched up an impressive biography – touring the world extensively as well shows on London’s West End and on Broadway. 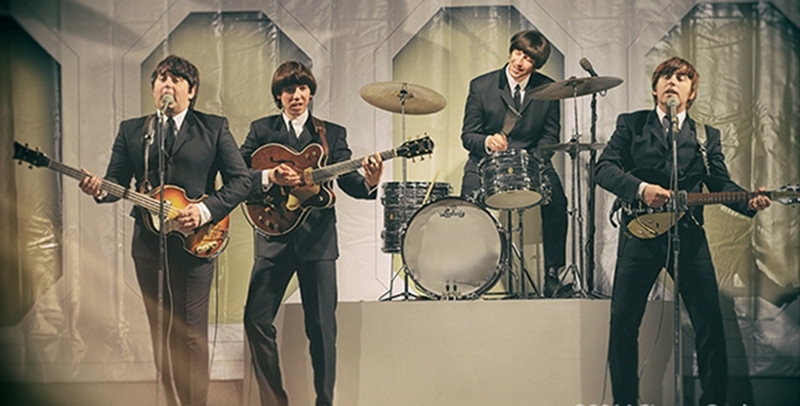 In February 2014 the band celebrated the 50th Anniversary of the Beatles first steps on American soil and their first appearance on the Ed Sullivan show. Over a two – week period they played throughout New York and Florida in conjunction with The City Of Liverpool, Hard Rock Cafe, British Airways and Visit Britain. In 2015 the band were invited to celebrate the 50th Anniversary of the filming of the Beatles second film, Help!, in Obertauen, Austria. They performed in Obertauen as well as sold out shows in Vienna. In 2016, they headined International Beatleweek, paying tribute to the anniversary of Revolver, and Candlestick Park, as well as perforing seperate George Harrison, John Lennon, and Paul McCartney shows! 8pm – ACOUSTIC ARTIST SOLO SUPPORT ACT – followed by feature show.